Globally, the supply of donor cornea does not meet the demand in certain regions. Corneal xenotransplantation has been investigated as an alternative option of corneal allotransplantation. This review aims to provide a comprehensive update on corneal xenotransplantation. This article reviews current knowledge of the antigenicity and bio-physical properties of pig corneal grafts in corneal xenotransplantation, including efficacy and safety data of corneal xenotransplantation using genetically engineered (GE) or wild-type (WT) porcine grafts and decellularized porcine grafts in nonhuman primates as a proof-of-concept. 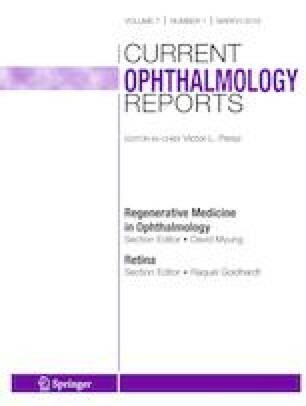 Recent advances in regulatory issues and standardization of protocols for their use are also discussed to help facilitate clinical trials of corneal xenotransplantation in the future. This review posits that a proof-of-concept opportunity exists in certain breeds of pigs on corneal xenotransplantation, suggesting feasibility as an alternative option of corneal allotransplantation. This study was supported by a grant from the Korea Healthcare Technology R&D Project, Ministry for Health & Welfare, Republic of Korea (Project No. HI13C0954).